Our polyurethane pivot sit stands provide the versatility of standing while relieving the stresses associated with being on your feet. 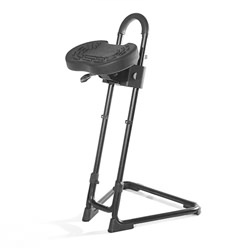 Built from rugged polyurethane, our sit stands are designed for harsh industrial, commercial, and medical environments. Height: Medium Bench Height 24"-36"